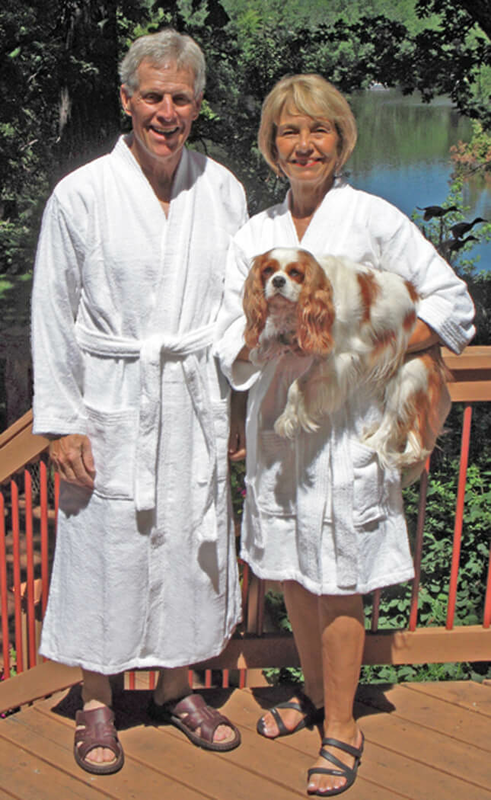 Wrap yourself in our delightful, soft 100% Light Cotton Terry Wittmann Textiles robes. Now in two styles: 38 inch length with Kimono 3/4 sleeves or 48 inch length with Full length sleeves ($5 more) from the back of the neck to the bottom hem. These thirsty Kimono robes features terry loops on both sides, two pockets, and a belt and are great for traveling, lounging, or vacations. Color: white. Premium Quality made exclusively for Wittmann Textiles in Turkey. Men 120-149 lbs. 150-179 lbs. 180-209 lbs. 210-249 lbs. 250-300 lbs. Ladies 110-139 lbs. 140-169 lbs. 170-199 lbs. 200-239 lbs. 240-290 lbs. *Sweep 57 in. 61 in. 65 in. 69 in. 74 in. *Sweep - Bottom of the robe all around in inches. 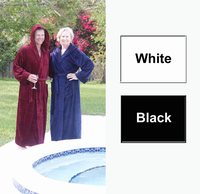 Use this measurement to compare with your favorite robe.